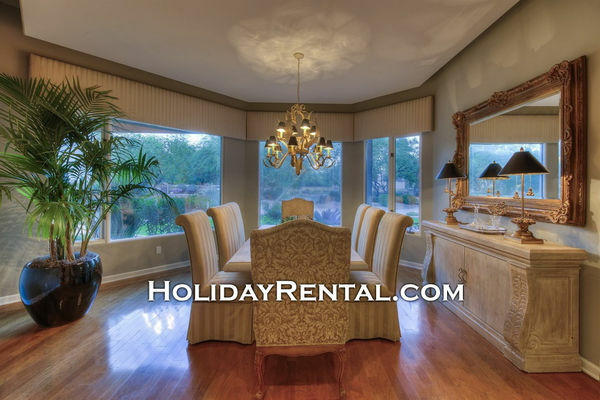 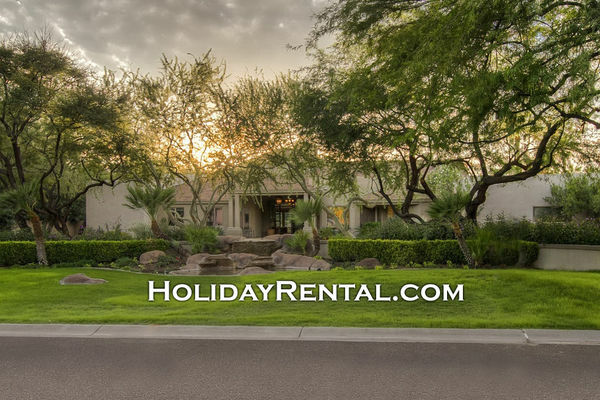 Scottsdale Sanctuary is a warm and inviting villa that is highly upgraded from top to bottom. 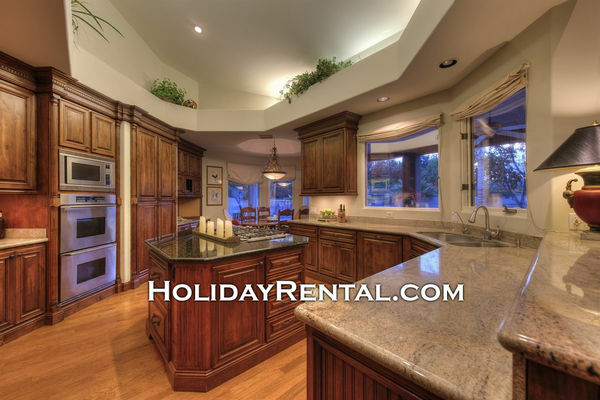 This beautiful home has 6 bedrooms with four of them each having their own bath. 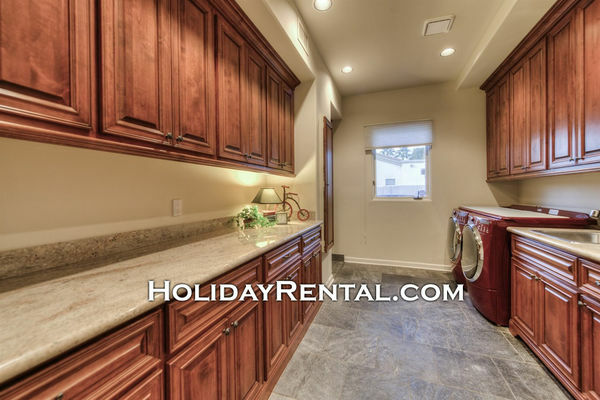 This included the guest casita with its own kitchen as well. 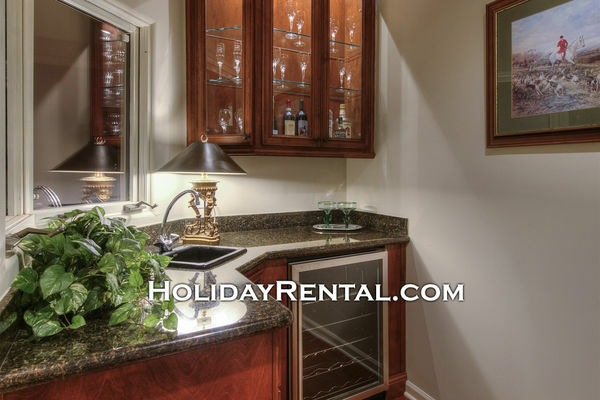 In the bedrooms you find luxurious white linens throughout. 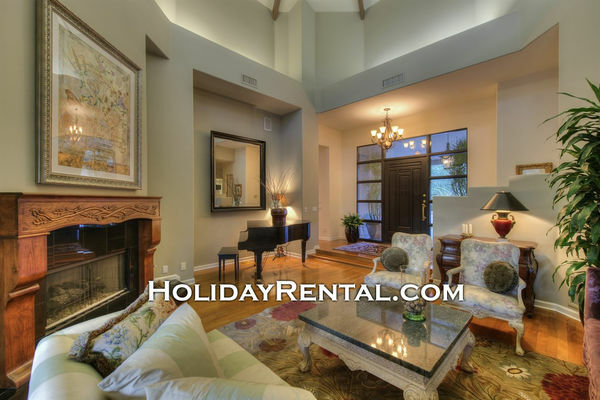 When it comes to entertainment you will find this house does not disappoint with gourmet kitchens that opens to a large family room area with a relaxing fireplace, a wet bar and of course a large TV. 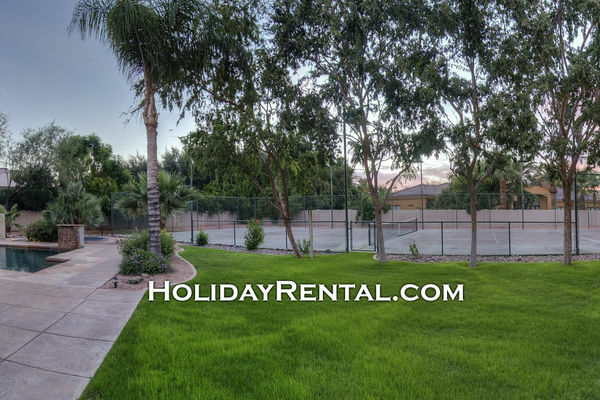 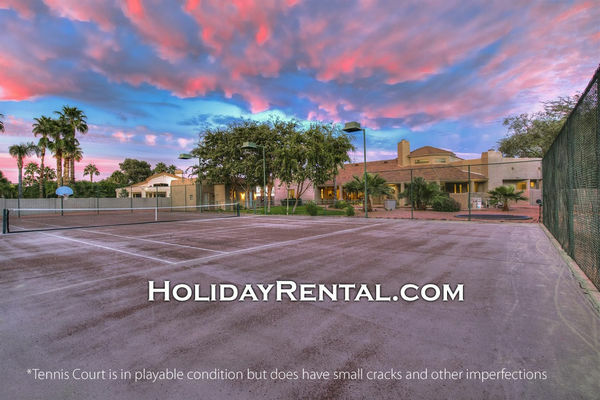 Outside you will find a sparkling pool and water features to enjoy as well as a full size tennis court and basketball hoop, perfect for family fun! 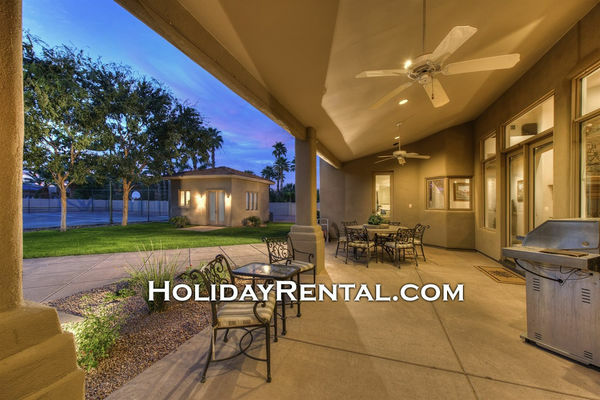 There is also a cozy patio space to relax and enjoy the Arizona weather and a grass area for the kids to play. 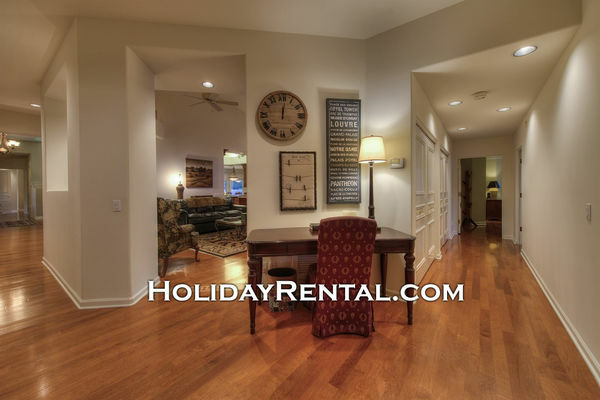 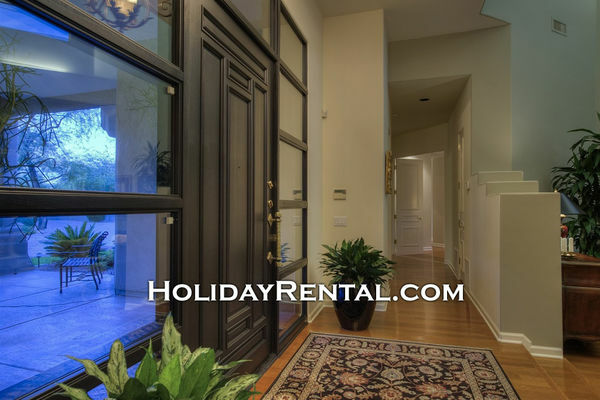 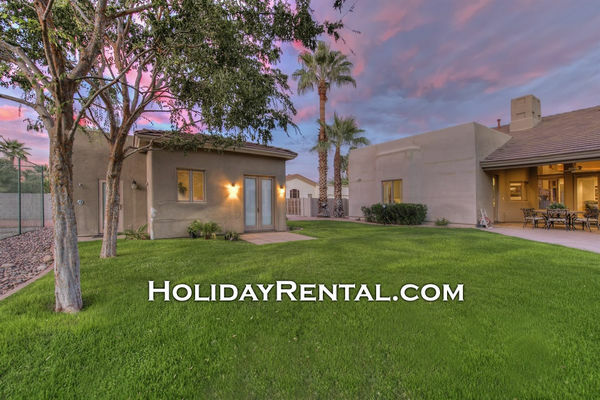 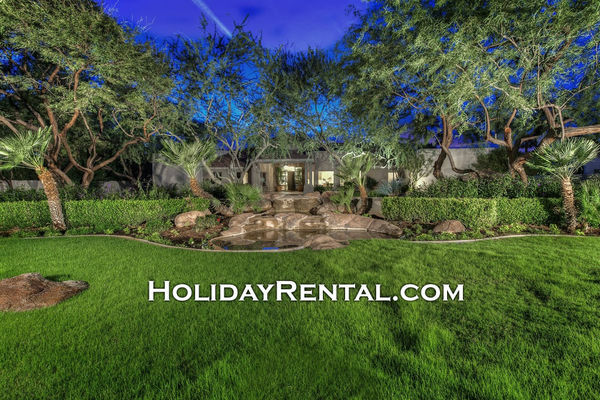 Location is always a factor in where you stay and this home is centrally located in Scottsdale giving you convenient access to all that the city has to offer. 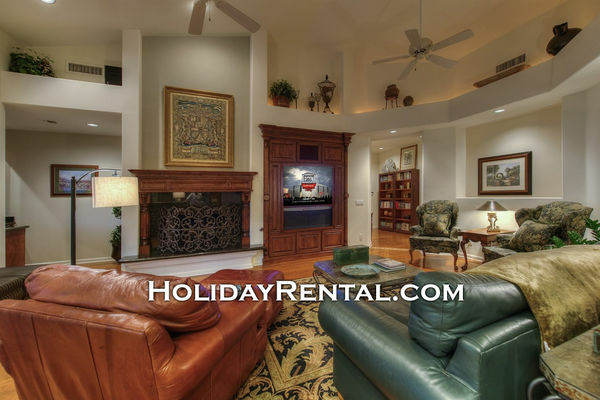 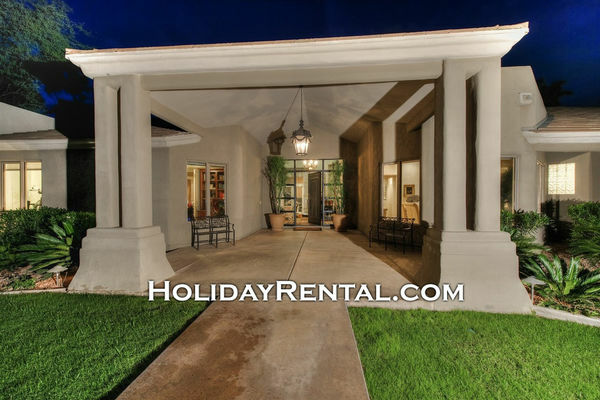 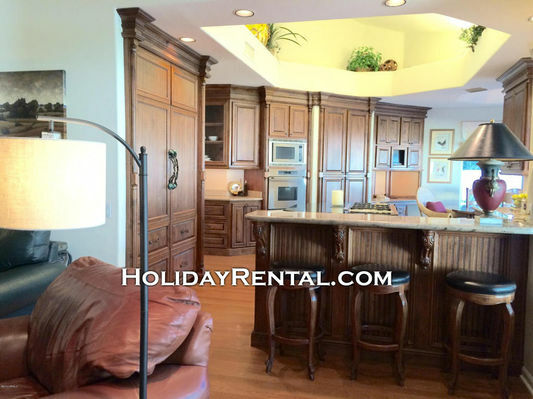 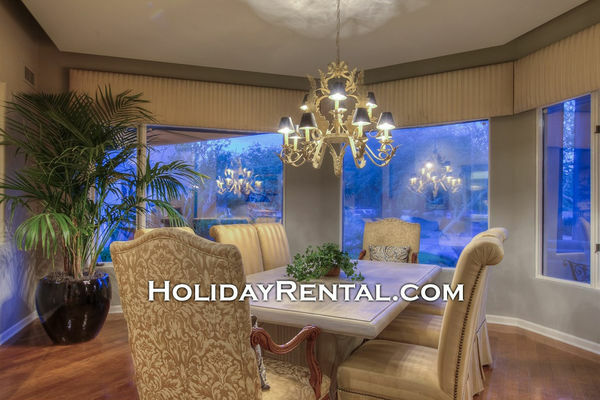 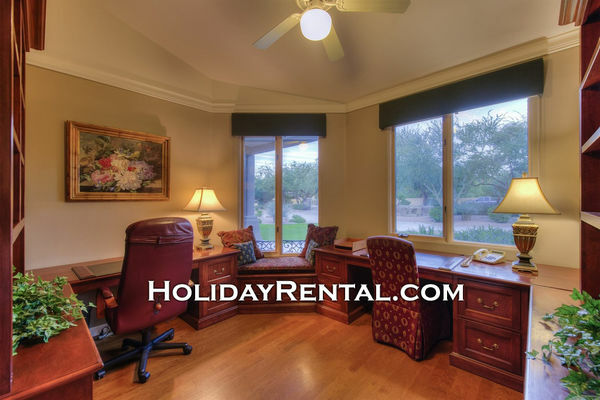 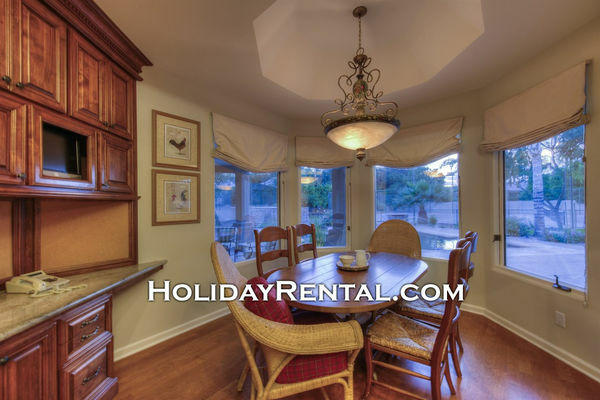 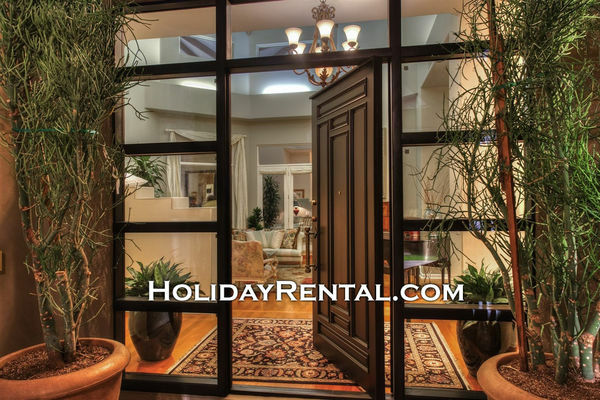 In all aspects this villa is perfect for your next Scottsdale vacation.